This is the next story from my last post few days ago, Naval Architecture and Shipbuilding Engineering Graduation : The Parade. In our department lobby, we prepare a give thanks party for the graduates. After they finally arrived at the building, the show started. What a pleasure to me, they ask me to be a MC for the show. 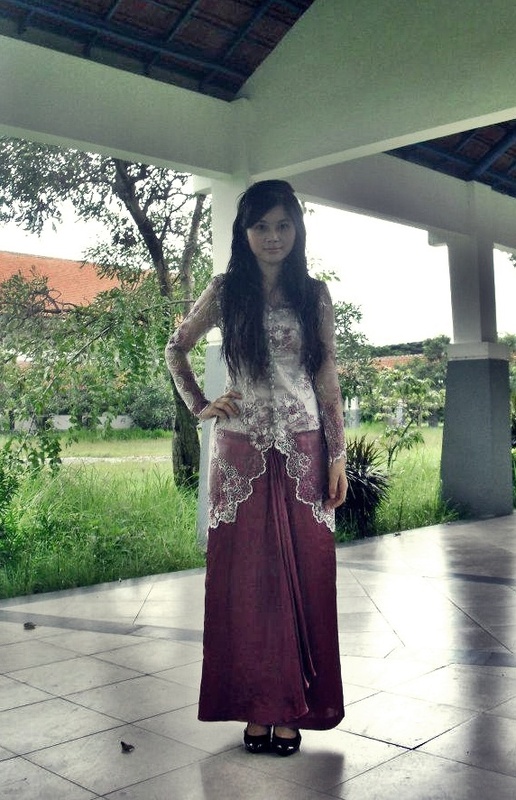 I was wearing an Indonesian Traditional outfit, Kebaya. Almost every district in this country has their own model of Kebaya. This one is from Middle Java. The colors are silver, lilac and dark pink. This Kebaya is designed with the touch of modern effect. So I paired it with my low heels brown pumps. Feminine. Did my own make up. And hair do by Thea. Changing my maxi skirt into blue skinny jeans as the bottom of my Kebaya, make a new look, pretty and casual. Paired with my black ribbon flat shoes. By the way, the Kebaya is not my size, little bit bigger to fit in my body. Anantya, my beloved Intan, and me. Fyan and me. Laugh and laugh! Intan, Fyan, Ghafiq, Lukky, and me. We did all of those photoshoot when the party is over. Perhaps our face show the tiring. Really work hard for the successful of this event "Naval Architecture and Shipbuilding Engineering Graduation". The Party for 104th graduation is over. 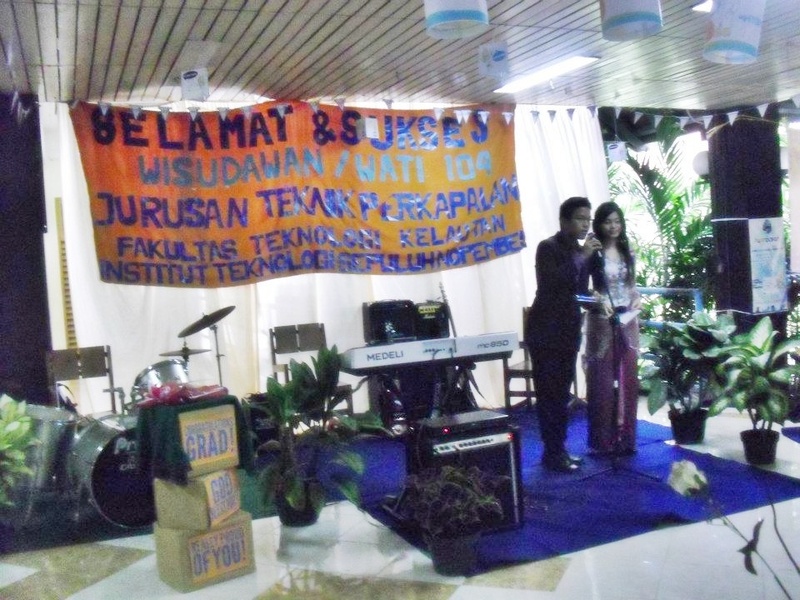 Keep in touch with my blog, and wait for the next graduation story , the 105th one. 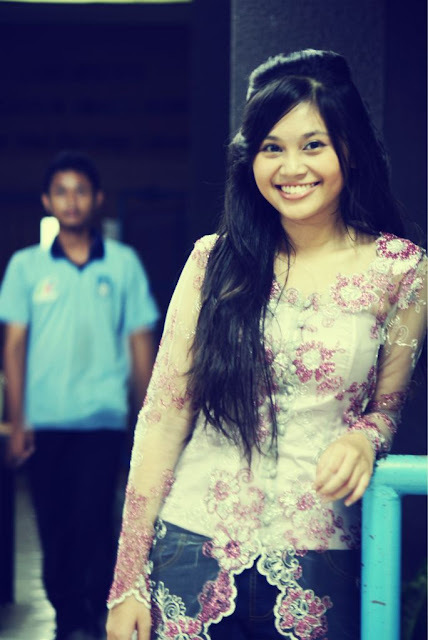 All photos taken by Dhira and edited by me. Thank you, next time I'll provide more about my activities as a student of Naval Architecture. Nice to Meet you, March!